The Army Commandos were the brainchild of Winston Churchill and Lt Colonel Dudley Clark, a South African by birth. It was after the sturdy South African Boer Kommandos that the new unit was to get it’s name. After the British withdrawal at Dunkirk, Prime Minister Winston Churchill wished to retaliate by having specialist raiding forces harass the enemy coastline and destroy small military installations and supply depots. After many successful raids on the enemy coast, including the ambitious raid on St. Nazaire, the commandos were restructured in 1943 into brigades of assault and light infantry. These brigades also included the newly formed Royal Marine Commandos. Four separate Special Service Brigades were created and these were to see extensive service throughout the remaining war years in Italy, Burma, and Europe. 1st Special Service Brigade, comprised of 3, 4, and 6 Commando, plus 45 (Royal Marine) Commando. Led by the enigmatic Brigadier The Lord Lovat, 1st Special Service Brigade contained the most experienced commando units in the entire Special Service Group. 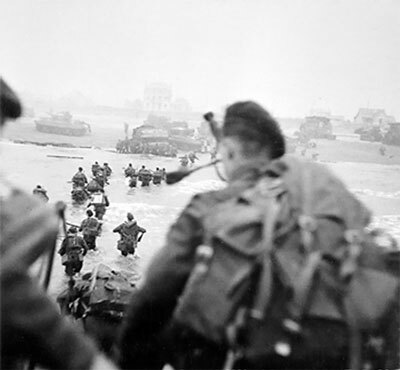 Unlike the commandos of 4th Special Service Brigade, 1st Special Service Brigade were to land on just one beach on the coast of Normandy, codenamed Sword Beach. On 6 June 1944, the Allied invasion forces assaulted the fortified coast of Normandy. 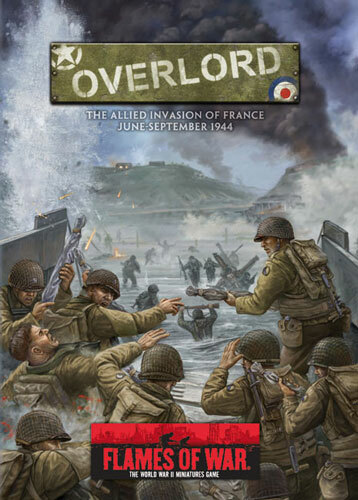 1st Special Service Brigade had a very clear objective, relieve the airborne troops that had landed in the early hours of the morning on the eastern flank of the Normandy beaches. The bridges over the Canal de Caen and Orne River were vital to the security of the entire assault force. Any counterattack across these bridges could have driven the invasion forces back into the sea. 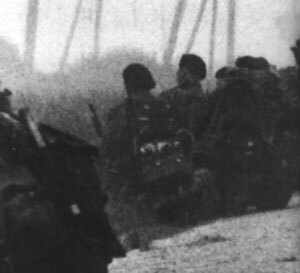 The bridges were to be taken by the glider borne units of 6th Airborne Division, but these lightly armed troops could not be expected to hold out indefinitely without support from the sea. It would be up to Brigadier The Lord Lovat’s commandos to reach them as soon as possible. Beyond the bridgehead, 1st Special Service Brigade was expected to seize the seaside towns of Sallanelles and Franceville Plage and to clear the coastal strip between these towns and Cabourg. 1st Special Service Brigade landed on Sword Beach after the assault brigades of 3rd Infantry Division, and immediately set out for the objectives that they had been given. Formed in July 1940, 3 Commando became one of the most experienced commandos by 1944. Commanded by the legendary Lieutenant-Colonel Peter Young, 3 Commando had served in Norway, Dieppe, Sicily and Italy before returning to England to prepare for the Normandy invasion. 3 Commando would land at H+90 with 1st Special Service Brigade HQ and follow 6 Commando to relieve the airborne units at Pegasus Bridge. After successfully linking up with the airborne troops, 3 Commando was initially placed with 6th Airborne’s Headquarters at Le Bas de Ranville to reinforce 12th Parachute Battalion, which was under great pressure from German attacks emanating from Ste-Honorine. Once secure, Young sent two Troops to assist 45 (RM) Commando in attacking Franceville-Plage and clearing the Merville Battery which had been re-occupied by German troops. On D+1, the rest of the Commando established positions around Amfreville with 4 Commando to its left in Hameau Oger (usually written as Hauger on 1944 maps) and 6 Commando to it’s right in Le Plein. Over the next few weeks 3 Commando would be involved in a deadly game of cat and mouse with German troops. Attack would be met with counter-attack as each side fought for the dominating Bavent Ridge. The largest of the German counter-attacks came on D+4 with a three pronged assault with the intent of driving the commandos off the ridge. The attack started with a large mortar bombardment, most of which fell onto 4 Commando’s positions. Supported by self-propelled guns, the German infantry advanced toward the three villages held by 1st Special Service Brigade. After hours of hard fighting, the German troops were again beaten back toward Breville. The next day, soldiers of the 51st Highland Division would cross the Orne Bridge and be sent to assault the Germans within Breville with disastrous results. Breville would not fall until 12 June after a costly assault by paratroopers of 12th Parachute Battalion supported by five artillery regiments and tanks of the 13th/18th Hussars. It was during the initial bombardment for this attack that Brigadier The Lord Lovat was severely wounded when rounds fell short of their target and landed within a group of officers from the units involved in the assault. With the fall of Breville, German pressure eased on the commando’s frontline and subsequent encounters would predominantly involve small patrols and sniping actions. Also formed in July 1940, 4 Commando received distinction for its actions in the failed Dieppe raid by successfully knocking out a gun battery at Varangeville. It would be asked to repeat this endeavour when it was assigned the destruction of a 6 gun coastal battery and the heavily fortified Riva Bella Casino just north of Ouistreham. Attached to 4 Commando were numbers 1 and 8 Troop of 10 Inter-allied Commando, a commando unit comprised entirely of troops from occupied European countries. 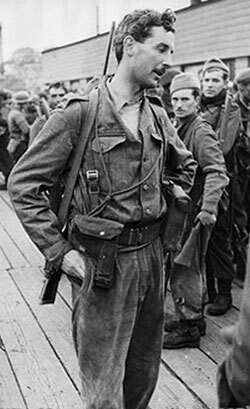 These French Commandos, commanded by Comandant Philippe Kieffer, were given the honour of being the first commandos to land on the French coast. On 5 June Lovat addressed the entire Brigade and ended the speech with the following words for the French commandos, “Demain matin on les aura”; Tomorrow morning you will have glory. 4 Commando landed on the extreme left of Sword Beach on Queen Red only to find that the initial assault brigades had not yet cleared the beach. 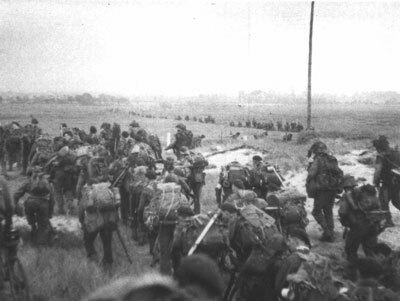 Having to fight their way off the beach, they soon headed down the lateral road to Ouistreham. The two French commando Troops’ assault on the Riva Bella Casino encountered stiff German resistance and the various small arms of the resolute commandos were not be enough to penetrate the thick concrete bunkers and pillboxes. Comandant Kieffer then persuaded a Centaur of 5th Battery, Royal Marine Armoured Support Group to suppress the defenders, enabling the commandos to finally assault and take the position. The rest of 4 Commando closed in on the gun battery near the mouth of the River Orne. After a series of small assaults, it became apparent to the commandos that the guns were no longer present and had been moved prior to the invasion. The commandos left the remainder of the German garrison to the follow up infantry and withdrew to regroup and join the remainder of 1st Special Service Brigade across the Orne bridgehead. Once across the bridgehead, 4 Commando took up position in Hauger. During the battles over the following week, 4 Commando often bore the brunt of the German assaults and artillery, and casualties were higher than in the other commandos. The two French troops remained with 4 Commando for the next 3 months, distinguishing themselves throughout the campaign. Of the 177 French commandos that landed on Sword Beach, only 40 were left unscathed. No. 6 commando first saw service in Norway in December 1941, with Operation Archery where they destroyed fish oil factories at Vaagso. The oil was used to produce munitions. They next went into action during Operation Torch when it landed near Algiers alongside US forces. The Commando eventually returned to Britain for the D-Day landings. Troopers of 6 Commando were the first to reach the beleaguered airborne troops on the Orne River bridges after fighting their way through several enemy positions around Colleville and St Aubin d’Arquenay. Once across the bridges, 6 Commando linked up with 9th Parachute Battalion and took position in Le Plein, which would represent the extreme right flank of 1st Special Service Brigade. 6 Commando were the first 1st Special Service Brigade troops to conduct an assault when they attacked the village of Breville on 7 June. After being harassed by sporadic shelling from within Breville, the commandos attacked in force, but soon realized that the village was heavily defended and withdrew back to Le Plein, bringing 15 German prisoners and various weaponry with them for the loss of just one commando. 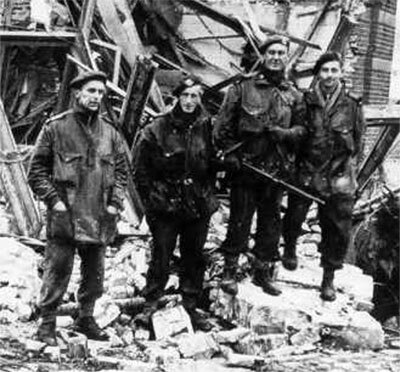 Along with the other commandos of 1st Special Service Brigade, 6 Commando would endure constant attacks by German troops, mortars and snipers until Breville was finally taken on 12 June. 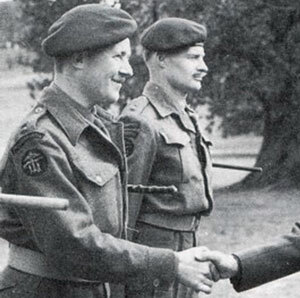 45 (RM) Commando had not seen action prior to D-Day and was keen to prove its place alongside the other more experienced Commandos in the 1st Special Service Brigade. Landing with the remainder of 1st Special Service Brigade, the men of 45 (RM) Commando moved off the beach with haste and encountered strong opposition around Colleville sur Orne including a battery of Nebelwerfer rockets that were quickly silenced. Unfortunately, 45 (RM) Commando’s commander, Colonel Ries, was severely wounded by a sniper during the advance, so the second in command, Major Nicol Gray took command of the Commando. Once across the Orne River bridges, 45 (RM) Commando advanced north toward Franceville Plage and Merville. With two Troops from 3 Commando attached to attack the re-occupied Merville battery, the Royal Marines assaulted German positions within the town of Merville and Franceville Plage. Although successful, their position on the extreme left flank was vulnerable and could not be well supported. As such, they faced the possibility of being surrounded and overrun by a determined German counter-attack. The Commando then retired to positions outside of Sallanelles, just to the left of 4 Commando. On 8 June, 45 (RM) Commando bore the brunt of a strong counter-attack supported by several self propelled guns. After defeating the assault, the Commando withdrew again toward Amfreville after becoming low on ammunition. However, the heavy casualties they inflicted on the German assault was enough to secure the northern end of the Bavent Ridge and the entire northern flank of the invasion.